In the beginning of my novel FarCry 2 - Blutige Diamanten (*Blood Diamonds) the vet Paula travels with the pilot Matthew in an old JU-52 over Central Africa. 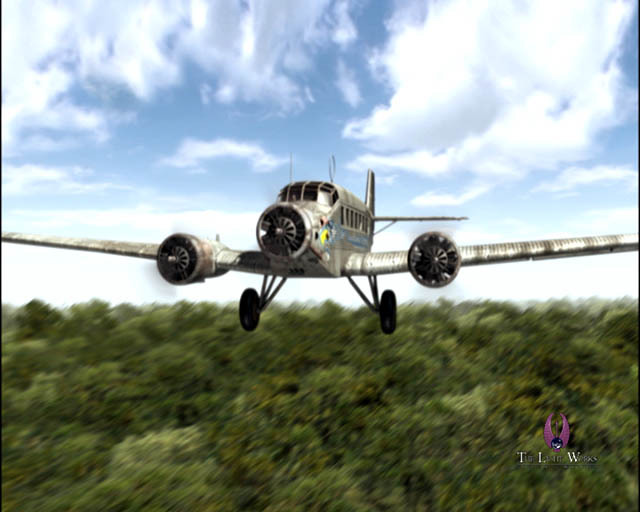 The idea for this scene came from another project were I also wrote the JU-52 into it: the game Artefact, announced in 2001 at the E3-fair in L.A., but then got cancelled as Ascaron Software went insolvent in summer 2001. Anyway, the announcement at the E3 and in TV featured parts of the cinematic sequence rendered by the Lightworks studio. The several iterations of that screenplay were written by Christoph Werner, Daniel Lieske and myself.